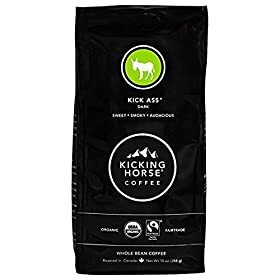 Amazon.com Price: $34.99 $23.84 (as of 17/04/2019 14:37 PST- Details) & FREE Shipping. 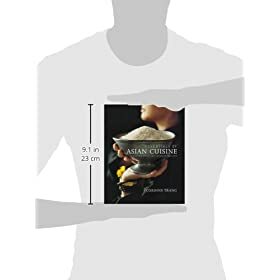 With eight major national cuisines, and dozens of regional variations, a comprehensive exploration of Asian cuisine might seem too daunting to present in one volume. 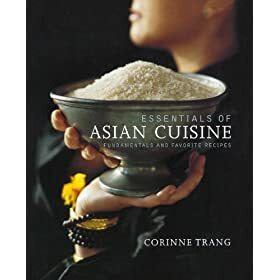 But with Essentials of Asian Cuisine: Fundamentals and Favorite Recipes, award-winning creator Corinne Trang successfully brings the fundamentals of Asian cooking into the home kitchen in a collection that includes both contemporary and time-honored recipes. Trang takes the reader on a journey of Eastern culinary discovery as seen through a practiced Western culinary lens. 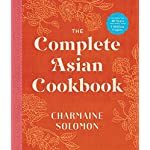 Explaining how and why Chinese cuisine is at the root of all Asian cooking, she describes in familiar terms the techniques that incorporate the five senses and embody the Chinese yin yang philosophy of balanced opposites. Trang uses Asian ingredients commonly found in supermarkets and through mail-order sources — such as fish sauce, lemongrass, and rice noodles — to guide home cooks through the preparation of healthy, sensual meals. She illuminates the mysteries of authentic Asian cooking, explaining the aromatic herbs and spices that make Asian cuisine vibrant, colorful, and distinctive. Trang brings together more than three hundred traditional and state-of-the-art recipes for condiments, appetizers, main courses, vegetables, and sweets and drinks from China, Japan, Korea, and Southeast Asia. Mouthwatering items include Chinese Scallion Pancakes, Filipino Fried Spring Rolls, Spicy Indonesian Crab Fried Rice, Japanese Miso-Marinated Black Cod, Japanese Spring Water Tofu with Sweet Sake Sauce, Stir-Fried Leafy Greens, Chinese Pork Ribs with Black Bean and Garlic Sauce, Green Tea Ice Cream, and Thai Coffee. 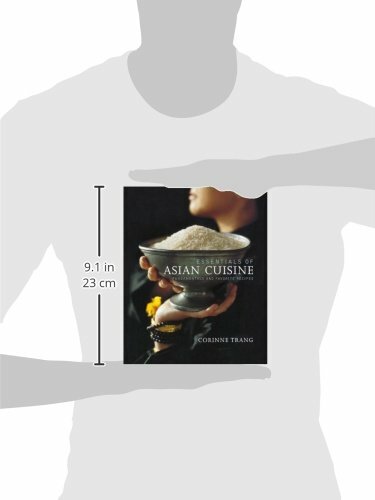 In organizing the book by type of food, Trang allows cooks to see both the common elements and the distinctive individualities of Asian national and regional cooking. Trang explains the roots of major recipes and discusses where they appear in more than a few guises in different countries. Vietnam’s Canh Ca Chua (Hot and Sour Fish Soup), for example, can also be found in Cambodian, Indonesian, and Thai cuisines; Trang provides the recipes for both the master soup and its variations. 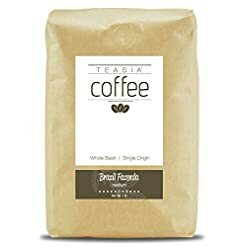 Trang includes a comprehensive glossary of Asian ingredients, plus a detailed list of resources for purchasing special ingredients and equipment. She offers sample menus, including a Chinese Dim Sum, a Filipino Dinner, and a Japanese Lunch. A special section on feng shui demonstrates how to organize and beautifully present a meal. 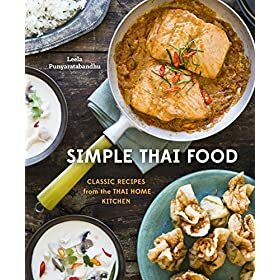 In this lavishly designed and illustrated volume, more than eighty-five original black-and-white and color photographs bring to life the ingredients, dishes, and people of Asia. 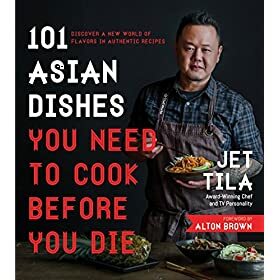 The book is rich with personal anecdotes and intriguing information about Asian culture, and nowhere else will you find such a clear, comprehensive, and accessible remedy of Asian cuisine. 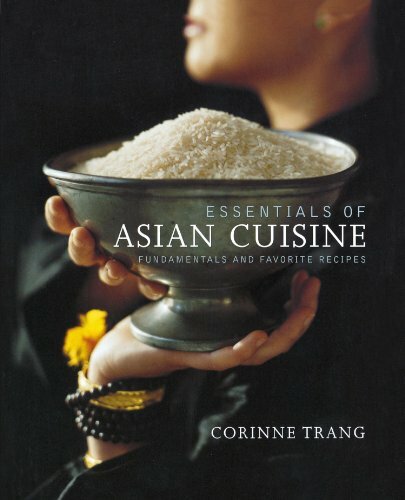 More than a cookbook, Essentials of Asian Cuisine is a celebration of exotic culinary delights. For such a lot of of us, Asian cuisine beckons like a beautiful tropical pool. And yet, the most we ever do is test the water with a tremulous toe or two. 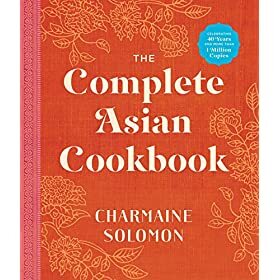 But now Corinne Trang, award-winning creator of Authentic Vietnamese Cooking, has taken on the prodigious task of being both swimming teacher and siren, lifeguard and fearless mariner, to lure us into the deep water with her Essentials of Asian Cuisine. At 590-plus pages, it is a big book. It is beautifully illustrated, for those who want to see where they are headed, and just as beautifully thought out, for those who wish to get where they are going. The destination is the food of Asia, with China as the wellspring. The territory Ms. Trang has mapped includes Indonesia and the Philippines, Thailand and Cambodia, Vietnam, Japan and Korea–as well as greater China. She does not pretend to be definitive–that would take an encyclopedia. Moderately, Ms. Trang assures the reader that much of what they know of western cooking applies to the east. She begins with familiarity then builds in self confidence, chapter by chapter, recipe by recipe. 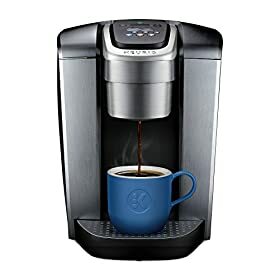 Amazon.com Price: $24.99 $15.99 (as of 17/04/2019 14:37 PST- Details) & FREE Shipping. 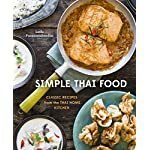 Amazon.com Price: $21.99 $13.18 (as of 17/04/2019 14:37 PST- Details) & FREE Shipping. 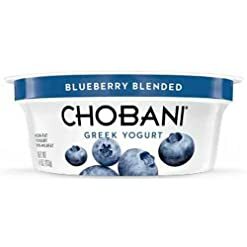 Chobani Blueberry Greek Yogurt, 4 Ounce — 12 per case. 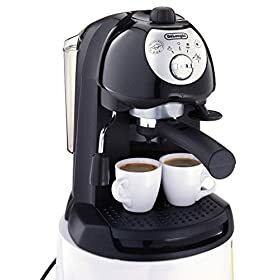 Amazon.com Price: $80.99 $76.99 (as of 17/04/2019 14:31 PST- Details) & FREE Shipping. 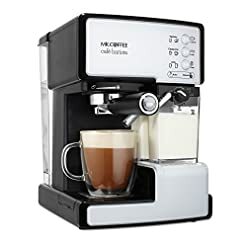 Amazon.com Price: $50.00 $34.00 (as of 17/04/2019 14:37 PST- Details) & FREE Shipping.